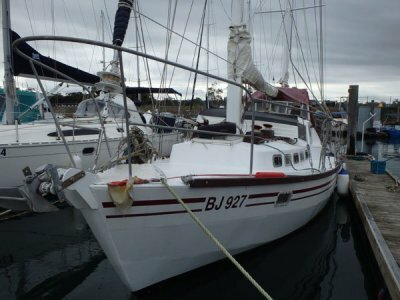 1990 - Cecil Boden Elizabeth designed yatch provides a roomy, comfortable cruising accommodation. This vessel has been refurbished with no expense spared. The engine has been serviced, new wiring to switch panels, masts serviced, repainted and new . . . 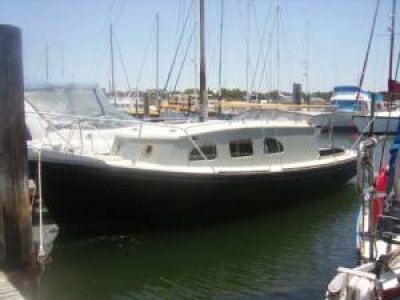 Designed and built in 1950 by Ken Lacco - this classic timber carvel long keel vessel comes with a Ford Lees 87hp with 2300 hours, 12v alternator, Charger, Solar, Sails, 6' headroom, 2 Bilge pumps, 2 Anchors, Electric Winch, Chain and Warps. . . .